Milledgeville, GA- The vibrant business community in downtown Milledgeville continues to grow, a great sign of progress toward Main Street/ Downtown Development Authority’s mission to ‘strengthen the economic base of Milledgeville-Baldwin County’. 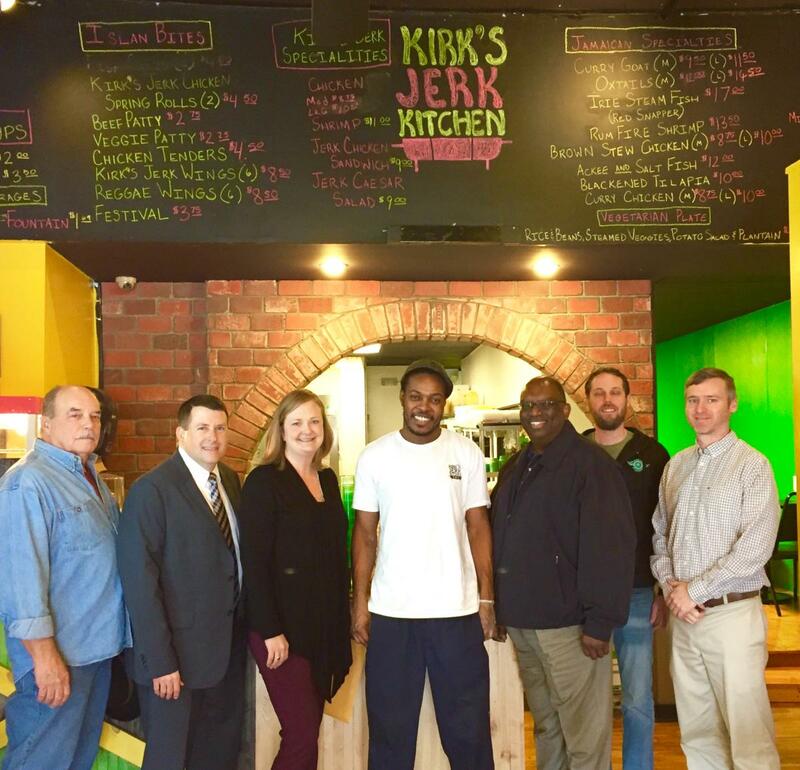 On February 8, 2017, the Milledgeville Main Street/ DDA Staff and Board of Directors gathered to welcome downtown’s two newest businesses- Kirk’s Jerk Kitchen and Smoothie King. Owner and chef Kirk Henry is serving Milledgeville and surrounding areas a delicious taste of Jamaican cuisine with a great mix of southern style. The business opened officially in December and is already a favorite for many. The restaurant is located at 128 North Wayne Street. 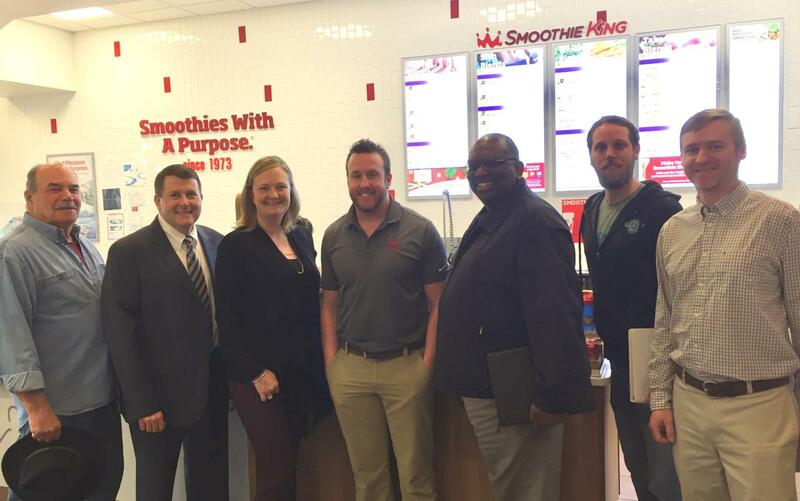 Also on North Wayne Street, Smoothie King offers nutritional fruit smoothies that can serve as a great snack or meal replacement. Main Street/ DDA Staff and Board of Directors introduced themselves to manager Justin Bell and welcomed the team here in Milledgeville.